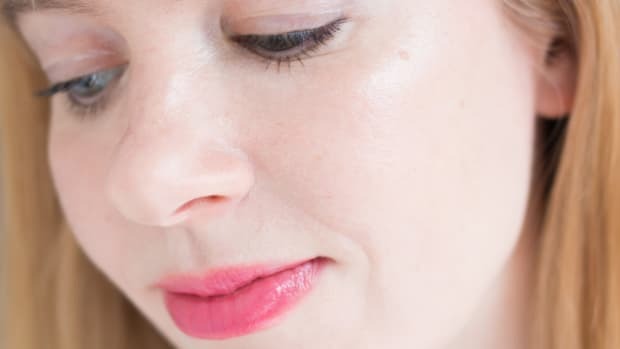 Imagine being able to improve every possible skin concern, from acne to wrinkles—along with hair loss, injuries and infections—with zero downtime, side effects or safety concerns. Believe it or not, you can, with red light therapy! 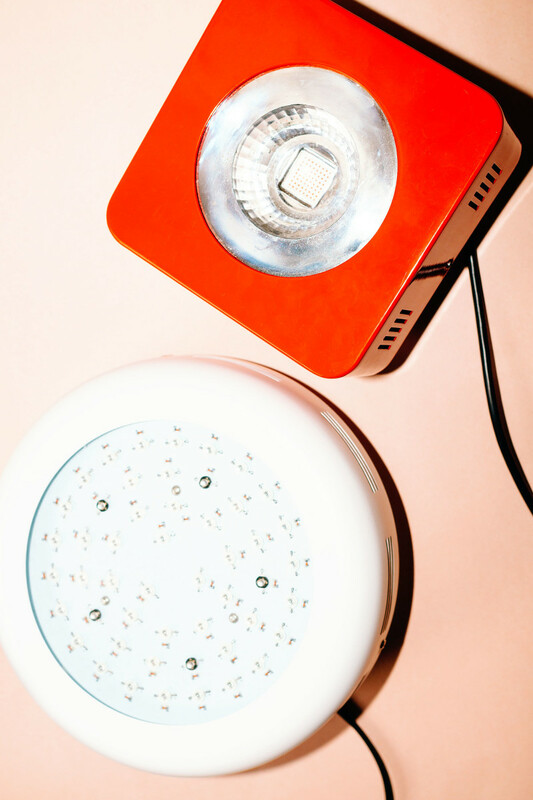 In Part 1 of this interview with light expert Joe Hollins-Gibson, we talked about what red light therapy entails, and the key skin, hair and health conditions it can treat. 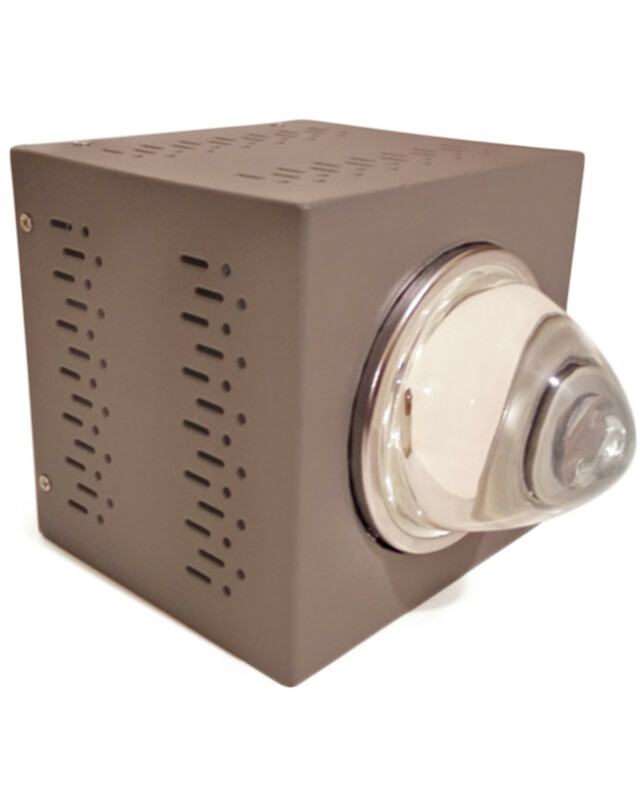 Joe is the founder of Red Light Man, a retailer specializing in powerful, next-generation light devices. If you missed Part 1, check it out here. Red Light Man sells high-powered light therapy devices for home and professional use. So now that we know WHY to use red light, let&apos;s talk about HOW. At the high end of the market is the $2,000+ Déesse Pro LED Mask, used by dozens of celebrities and their estheticians (Shani Darden and Georgia Louise, for example, both sell it for home use and incorporate it into their facials). Katy Perry wearing the Déesse Pro LED Mask. There are also full-body LED light beds at various spas. Joanna Vargas was one of the first estheticians to invest in one, which you can lie in for $300 per 75-minute session. Not cheap either! Joanna Vargas&apos; full-body LED light bed. 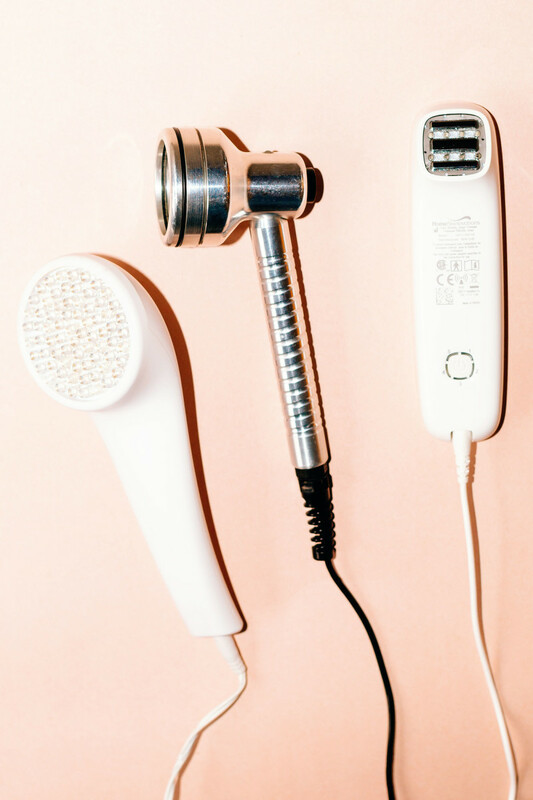 Then there are the hand-held light gadgets from brands such as Baby Quasar, LightStim, Silk&apos;n, Skin Inc. and NuFace, which are more affordable but time-consuming to use. Red light devices from LightStim, Baby Quasar and Silk&apos;n.
All of these options are good... but if you ask me, you can do even BETTER. I suggest looking for a red light that delivers scientifically-proven wavelengths of light; at a high power density (so that treatments take mere minutes); that you can use at home as often as you like. How to get 10 percent off at Red Light Man! Red Light Man Infrared Light Device (left) and Red Light Device (right). Note: These are older models; both now come in the square format. You sell both Red and Infrared light devices. What&apos;s the difference? The most obvious difference is that red light (600 to 700 nm) is visible and bright, whereas infrared or near-infrared light (700 to 900 nm) is non-visible and can only be perceived as a faint warmth on the skin. In terms of the therapeutic properties, red light is absorbed very well by the skin, making it useful for any treatment there, as well as the treatment of the hair. Infrared light is more penetrative. It has more potential to treat the tissue underneath the skin—joints, bones, muscles, etc.—although it is still absorbed in the skin to a significant degree and gives benefits there. It&apos;s not that one is better than the other, just perhaps more appropriate for certain conditions and body parts. In theory, you can use either one for pretty much any skin condition. Red light seems favoured for things like sunburn, acne, hair loss, wound healing, yeast infections, general anti-aging and so on. Studies comparing the two types of light seem to show similar results, though. Would it be beneficial to use both red and infrared lights to get maximum results? It&apos;s definitely useful to have both available. It&apos;s important to know that near-infrared light penetrates much better than red light, perhaps about three times better to the deeper tissue. If you&apos;re only interested in the skin, then you will be fine with a red light. However, if you are interested in other benefits to deeper tissue like muscles, joints and bones, then you should consider getting an infrared light, or both. 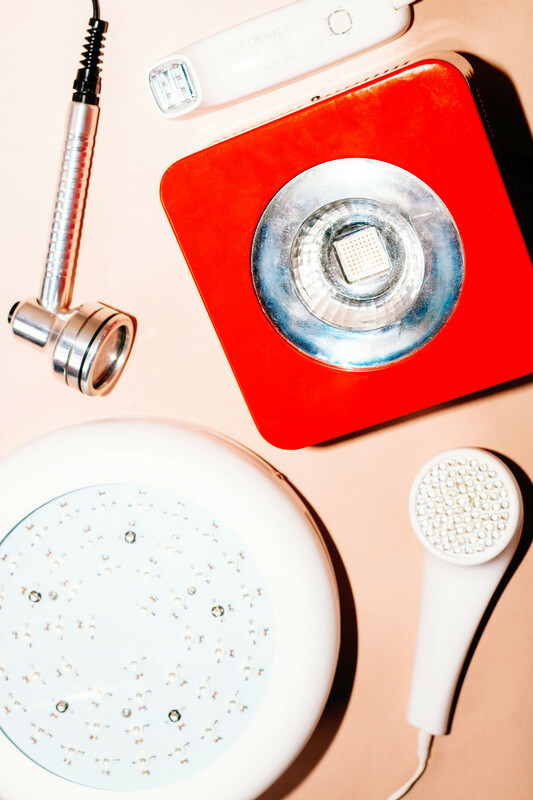 The Foreo Espada treats acne with blue light, which can accelerate aging. You mentioned that red light can help with acne. But I&apos;ve only ever seen blue light devices sold for that purpose (such as the Foreo Espada). Why? Strong blue light has a sterilizing effect on bacteria, including acne. It comes at a cost, though, as blue light harms our own cells, too. 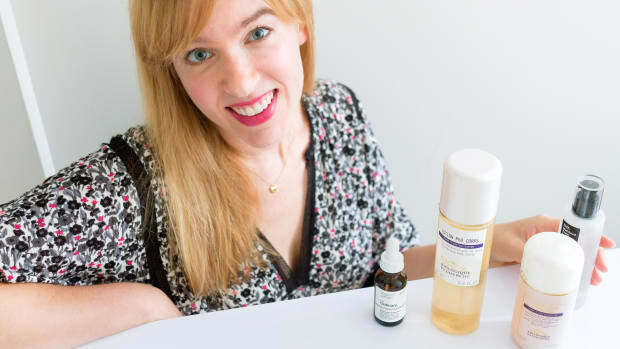 Studies show it is effective against acne in the short term, but it also increases our rate of aging and damages our eyesight, among other negative effects. So would you suggest avoiding blue light? I view blue light as somewhat of a health risk. It&apos;s not as harmful if used in combination with red light, or as part of sunlight, but I would not recommend an isolated source of only blue light for any at-home treatment. 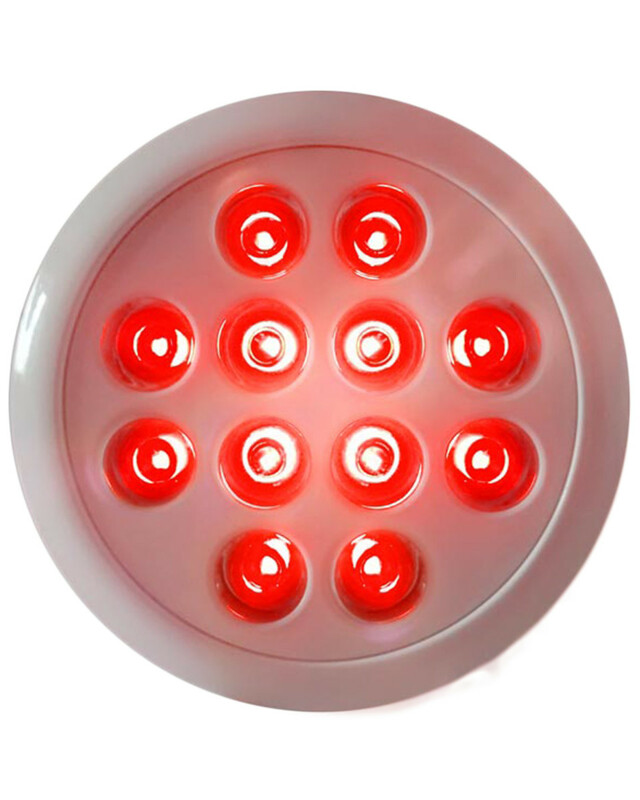 Red light is proven to be effective against acne and has no negative side effects, making it a better choice. What about other colours of light, such as green and amber? Devices like the Déesse feature all these different shades. Green and amber are not as well studied as red and blue, and don&apos;t work on the same mechanisms, although plenty of data exists. They have a broad range of effects on different parts of the body due to how they react with pigments in our cells. However, they lack the energy-boosting and healing effects of red light therapy. Melanin in our skin, for example, has a wide absorption spectrum (500 to 1,100 nm), absorbing green, yellow, orange, red and near-infrared light. So green and amber can be of use in things like hyperpigmentation—but so can red, and red penetrates better. All of these colours are used in other therapies like colourpuncture and colour therapy, but they don&apos;t have the same direct benefits to the skin as red and infrared light. The other wavelength range that gives direct systemic benefits is ultraviolet B (UVB), which helps vitamin D production and reduces immune responses in the skin for things like psoriasis. However, UV light can lead to skin damage. What&apos;s your opinion on light treatments such as IPL (intense pulsed light)? 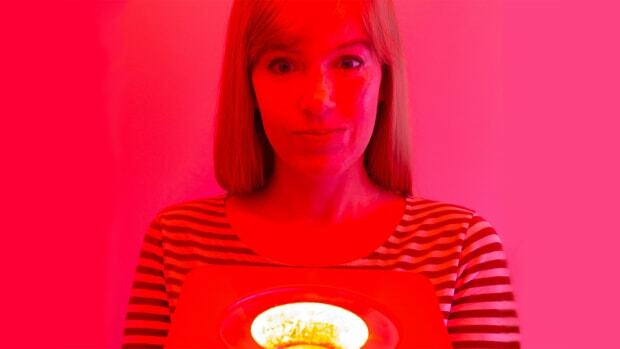 Could people get comparable results at home with red light therapy? I don&apos;t think IPL is a comparable type of treatment to red light therapy—they both use light but are very different in mechanism. But IPL is an effective treatment for things like skin pigmentation and hair removal. Red light won&apos;t remove unwanted hair. For most other issues, IPL is quite a brute force method to achieve what red or infrared light therapy will achieve in a more natural way. If you are on an IPL treatment course, it&apos;s good to use red or near-infrared light before and/or after the treatments to help reduce the side effects and speed healing. Is there an optimal wavelength range of red light that people should look for in a device? 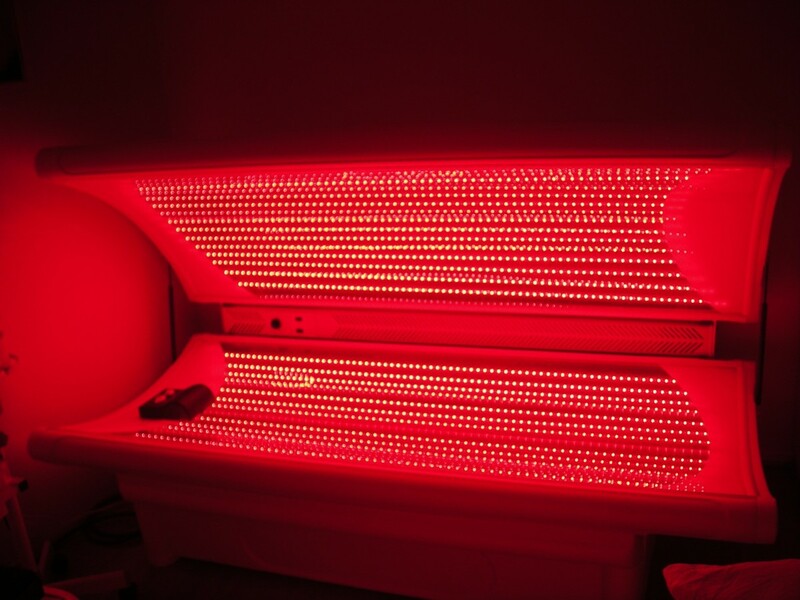 The general range of light used in red light therapy is between 600 and 900 nm, sometimes higher. You can get benefits from any wavelength between those values. Going by the studies on wavelength effectiveness (T. Karu et al. ), our cells absorb and use 4 "peaks" of light better than the others: 620 nm, 670 nm, 760 nm and 830 nm, +/- 15 nm. Those are the wavelengths you should try to get. Values in between those peak values, such as 645 nm or 720 nm, may be less than 50 percent as effective, although still useful. Close but not perfect wavelengths such as 660 nm, 810 nm and others are proven useful. How important is the intensity of the light? The range that seems effective in studies is between 20 to 200 mW/cm², with 100 to 200 mW/cm² being more for infrared light treatment on deeper tissue, and 20 to 100 mW/cm² for red light on the skin. Are most light devices on the market delivering these values? Most other light therapy products on the market just use the cheapest and most readily available wavelengths, such as 660 nm or 850 nm. Or even worse, they use less effective wavelengths like 650 nm or 880 nm. A lot of devices I have seen are also extremely weak, with maximum power densities around the 10 mW/cm² mark or worse—meaning they might never be effective, or you have to use them for very long session times, even when pressed directly onto the skin. What makes your Red Light Man devices better? We&apos;re using the exact wavelengths found to be the most effective at stimulating our cells: 620 nm, 670 nm, 760 nm and 830nm. Our devices all output up to at least 200 mW/cm², so you can just adjust the distance to vary your treatment times—further away for lower light intensity and longer sessions (covering a larger surface area). Which of your devices would you recommend for someone who is just getting started with light therapy? 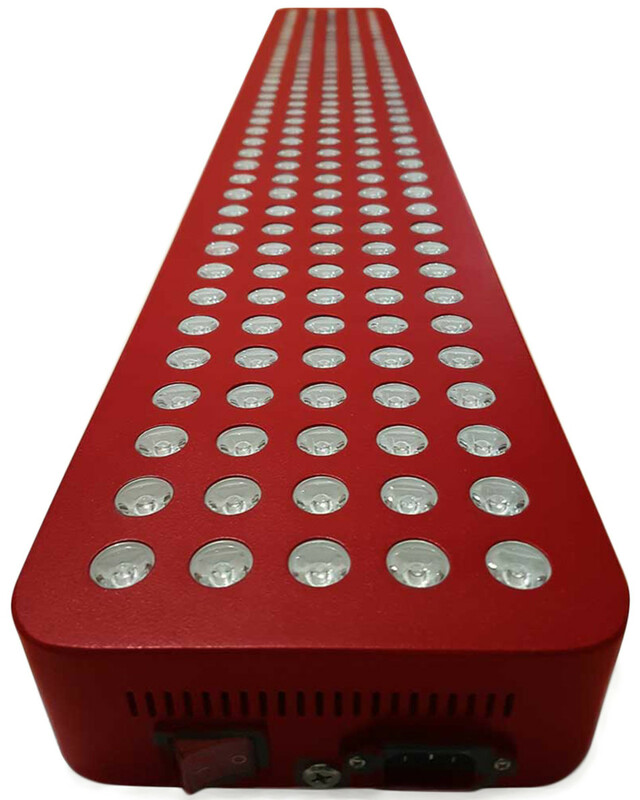 I think the combination lights we offer, including both red and near-infrared LEDs, are the best choice to get started. You can use them on pretty much any condition, be it deep in the body or only skin-deep. 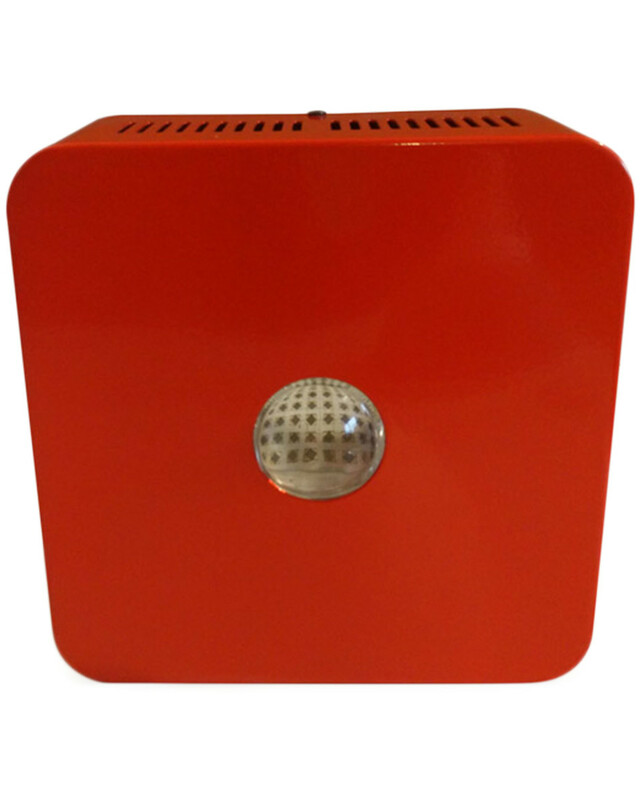 The Red-Infrared Combo Mini is our most popular product. We also sell the Combo Light, which is more intense. Would the Combo Light be as powerful as using Red and Infrared lights separately? So you can see that the Combo is weaker in terms of absolutely energy output, but the tighter beam angle enables the light intensity to carry a further distance. The 200 mW/cm² is generally the top limit of power density you&apos;ll see in studies, so all of the models are easily powerful enough to match any study protocol. The Combo is, of course, a mix of half red and half infrared, but since it is all acting on the same mitochondrial mechanism, it all counts as the same (besides the differences in penetration). I think the higher densities are useful for that deeper penetration you need to see effects in joints, muscles, etc. If you can afford to invest in separate Red and Infrared devices, would that be even better? I think the Combo is the best choice if someone can only afford one light, but the separate devices are more optimal overall. For example, if you are using the Combo light for joints, the red light it outputs is almost wasted, just being absorbed by the skin, while the infrared will be reaching the joint tissue. Even though the Combo will still work, it would be better and more efficient to use a pure Infrared for that. I don&apos;t think the Combo is essential if you can afford the two separate Red and Infrared devices. What are the best options if you specifically want to treat the skin surface? For skin aging and pigmentation, look for wavelengths near to either 610 to 630 nm or 670 nm. 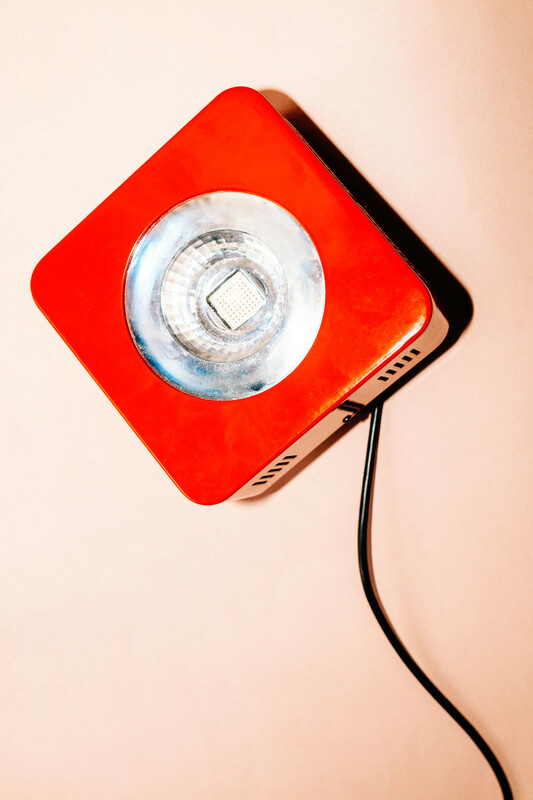 The Red Mini 670 is our most popular light for skin treatments. For pigmentation, I would use something like the Red Light Device Mini, which emits 610 nm, 630 nm and 670 nm. For acne, I would use a powerful product like the Red Light Device. What about someone who wants to get maximum results—what should they invest in? Full body treatment is definitely the way to go if you want the maximum results. Our full body light is so powerful, it can be used from up to two metres away. You mentioned that red light therapy can help with hair loss. What do you think of the laser caps or helmets on the market for this purpose? A laser cap or helmet seems at first like a nice product—convenient and easy to use for that one purpose. But these companies have obviously invested into their sales and marketing more heavily than anything else. It only seems appropriate for people with money to burn. I&apos;ve seen them for more than $2,000—the mark up is insane. Laser diodes are not so expensive. One of the leading companies&apos; most powerful laser caps uses a grand total of 1 watt of energy. I guess it has to be weak in order to be battery-powered, but geez… over $3,000 for 1 watt of energy? It&apos;s so weak, and that energy is spread over a fairly large cap area. They don&apos;t mention power density, of course. Unless you&apos;re totally bald, you&apos;ll never get a good dose of light onto the scalp in a reasonable timeframe using that, since hair blocks or reflects most of the light. Most hair loss caps are only using 650 nm diodes, which is perhaps the worst wavelength in the red range, going by the T. Karu et al. studies on wavelength absorption. 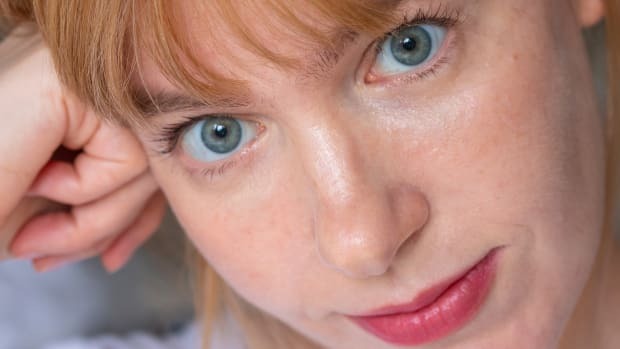 That wavelength seems to have caught on in the hair loss world due to a couple of preliminary studies, but there&apos;s no reason to believe that it is some magic hair-health wavelength. What would you recommend instead for treating hair loss? 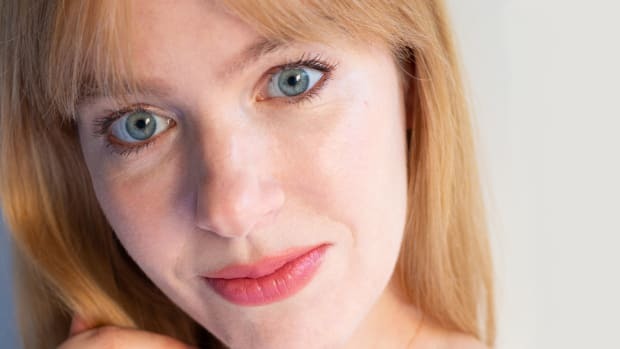 I like the idea of the cap on the head for hair loss, but I think it is a reductionist approach to hair loss treatment, and you should be using light on other areas—like the thyroid, for example, as well as the scalp. You should also be using fairly high power densities, 50 to 100 mW/cm² or more, which I estimate at about 15 times more powerful than the most expensive laser caps. The cap idea at those more appropriate ranges might be an issue due to EMFs (electromagnetic fields) though, so it would ideally need to be earthed/grounded, too. It seems there is a market for these caps, but I prefer a more multi-functional, general-purpose light device. Would that be your Red light, Infrared light or both? I think that both red and near-infrared light are good for hair growth. The problem if you still have fairly thick or dark hair is that most of the light is reflected and not hitting the scalp. In that situation, where only a low dose of light is getting through, an infrared light is probably better since more will get to the follicle. Red is fine if you are bald or have severely thinned grey or blonde hair. So they&apos;re both equally effective in my opinion, it just depends how you use them. A combination light would work fine, too. How close should the light be from your skin for best results? It depends on which light you have. You need to position it so that the light hitting the skin is between 20 mW/cm² and 200 mW/cm². You do not tend to see skin studies showing good results over about 100 mW/cm². 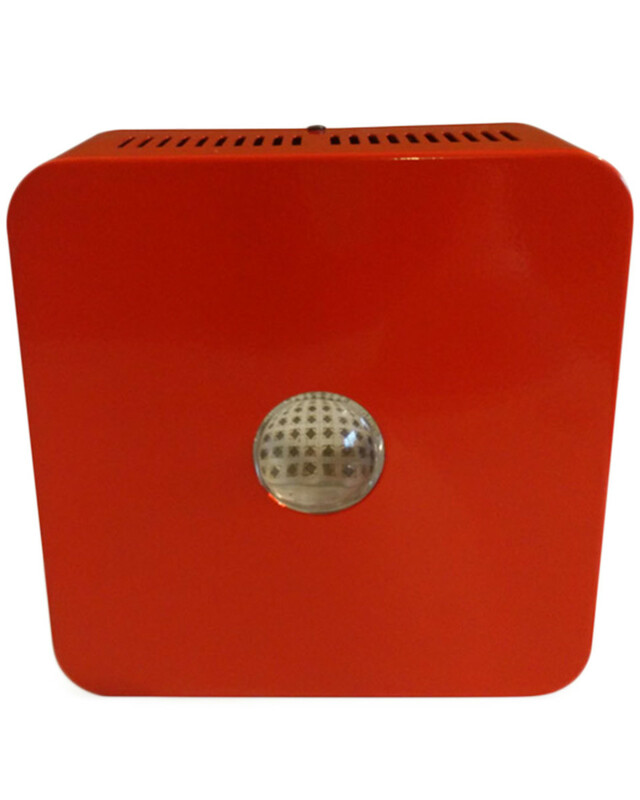 With devices like our Red Light Device, this means holding it at least 10 cm away and at maximum range about 40 cm away. With some other products I have seen online, they are so weak that you would have to press them onto the skin for the entire time to even get a tiny dose. How long should each treatment be? Closer and longer treatments are better in certain conditions such as infections, but otherwise, a more moderate dose is better. Five to 15 minutes is all that is usually necessary. The weaker devices out there might need 20 to 30 minutes or more. If you can&apos;t find information on a device&apos;s power density, in mW/cm², and how that changes by distance, I would be skeptical whether it is useful at all. Would you need to be closer to the light to treat acne? Acne is one exception to the "lower intensity and longer" protocol for skin. A slightly higher intensity of red light seems more appropriate for severe cases of acne, for up to 10 minutes every day. This would be from a distance of around 10 cm or less, with one of the more powerful units such as the Red Light Device. This is because acne treatment not only involves alleviating the skin inflammation, but also sterilizing the acne bacteria. Red light has a photodynamic bactericidal effect on certain bacteria, including acne bacteria, due to a photosensitive pigment they have. The photodynamic effect is dose dependent, meaning more is better. For general skin aging or pigmentation, what would you suggest? Most studies seem to indicate that a relatively moderate light intensity exposure, but for a longer time, is optimal for the skin. I would use a 50 to 100 mW/cm² light intensity. Results tend to be worse if you go for short intense sessions. With our lights, this basically means using them from about 10 to 30 cm away from the skin, for five to 15 minutes, four times a week. The same protocol is applicable for both hyperpigmentation and hypopigmentation. Do you need to wear goggles during treatments? I don&apos;t think goggles are a must, at least not for LED-based light therapy. With strong red lights, your colour vision will be distorted for several minutes afterwards—everything will appear more blue/green, as your eyes re-sensitize to red light—but that&apos;s it. With the non-visible near-infrared light, no goggles are necessary as it doesn&apos;t stimulate the eyes—you barely even see anything. It seems that in fact, red and near-infrared light can be good for eyes, helping with general vision and with conditions such as age-related macular degeneration, cataracts, glaucoma, etc. Is it possible to burn yourself? Are there any safety concerns at all? 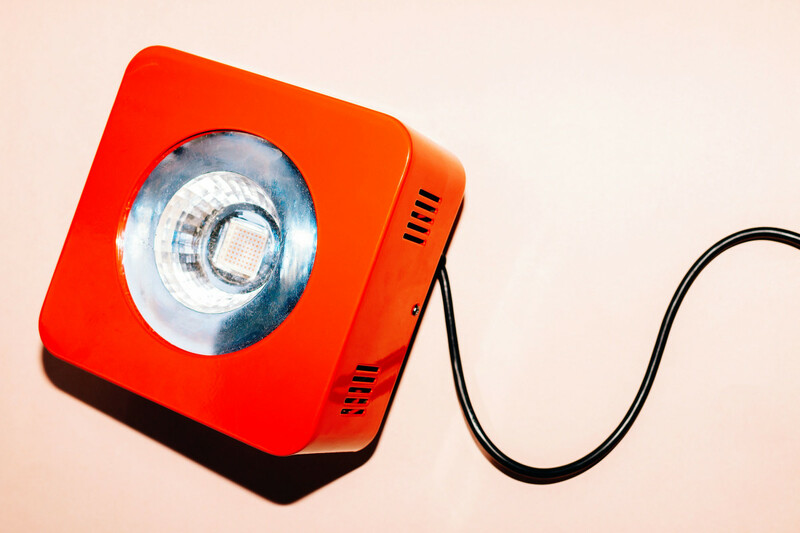 Proper red light therapy is about as safe of a treatment as you can find. It won&apos;t do harm even in very high doses and there&apos;s no real way to injure yourself with it. You can create a mild skin hyperthermia with the higher power densities like 250 mW/cm² of red light, but it&apos;s not a serious concern. Some of the heat lamp type bulbs that people try to use for light therapy, which we do not recommend, can definitely burn you. How long will a device last? Will it make our electricity bills go up? 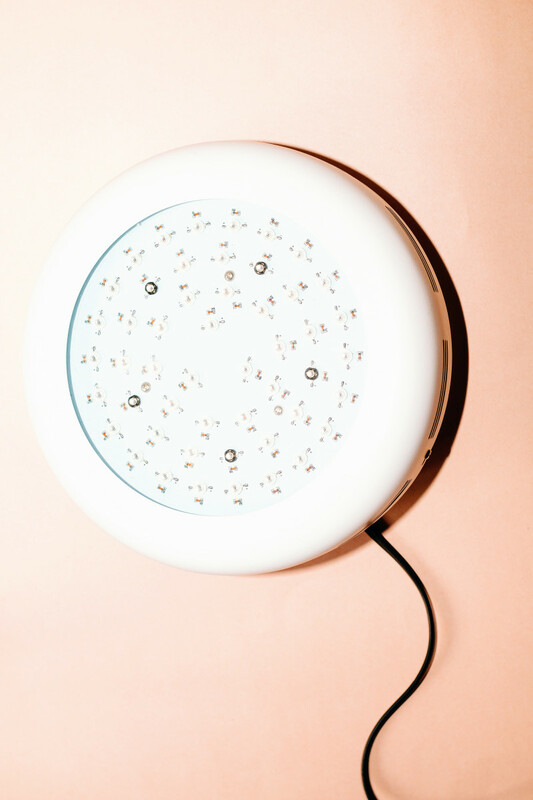 LED-based light therapy products usually last for upwards of 50,000 hours. Decades of use, basically. 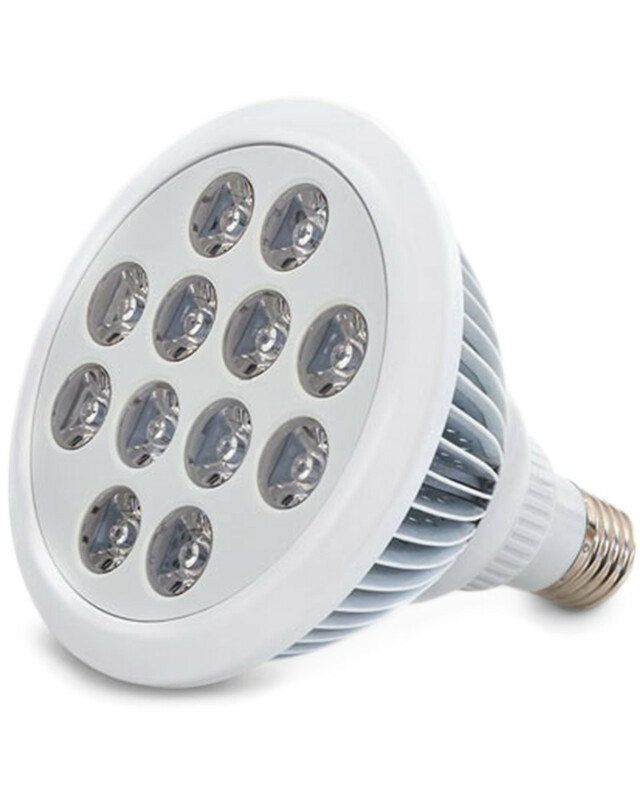 It is the cheapest source of light, due to being the most energy-efficient lighting technology. As you will only be using the light therapy device for several minutes a day, it won&apos;t have a noticeable effect on your electricity bill. All you need to look at is the watt consumption of a device and the session times. Red light devices from Baby Quasar, Silk&apos;n, Red Light Man and LightStim. It&apos;s no wonder that I wasn&apos;t seeing that much from red light therapy until I invested in my Red Light Man devices! Before that, I had tried Baby Quasar, Quasar MD, LightStim for Wrinkles, Silk&apos;n Titan and the now-discontinued Tanda, all of which were sent to me over the years. Now I&apos;ve realized that most of those feature non-optimal wavelengths, at a weaker output. So it takes a lot longer to get results—especially when you consider how small the treatment heads are! Also, who has the time to move a wand across each quadrant of her face for 30 minutes every night?! Even though I have not tried the Déesse, I feel the same way about it, now that Joe has taught me how to compare the specs. I think the mask aspect is convenient, but for what they&apos;re charging, it&apos;s not worth it, in my opinion. I mean, any red light is still beneficial, but if you&apos;re going to invest your precious time and money, you might as well get the most bang for your buck! Again, the two Red Light Man devices I purchased are the Red Light Device and the Infrared Light Device. So far, I&apos;ve been using them for skin purposes, but I need to try some of the other applications Joe mentioned! I find the Red Light Device is amazing for clearing breakouts and speeding healing. Both of them make my skin feel firmer and improve tone and blood flow. I&apos;m excited to hear about your results! How to Get 10 Percent Off! To get 10 percent off at Red Light Man, simply enter the coupon code SKINCARE at checkout. 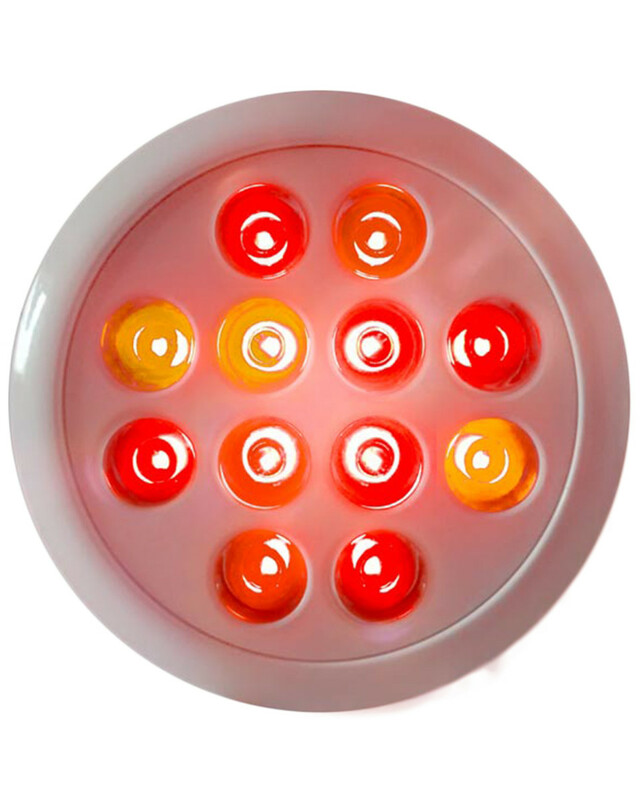 Do you have any more questions about red light therapy?